This may include, technical and experimental, theoretical, conceptual, or a survey. All submissions will be peer-reviewed on the basis of relevance, originality, importance, and clarity. Topics of interest will fall under one or more of the conference tracks. Click on each track for more information. Authors are required to submit a 2-page short paper describing the poster content, research, relevance and importance to any of the conference Track themes. 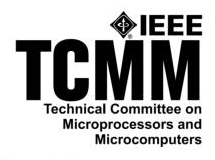 Submissions must follow the IEEE conference format. If accepted, these 2-page short papers will be published in the proceedings of the conference. Participants will be able to display the poster during the symposium. Authors are invited to submit their contributions electronically. The recommended poster size is A0 (33.1 x 46.8 in, portrait).